Zplane has announced the release of Elastique Pitch, a real time pitch shifting plug-in powered by zplane's élastique Pro v2.1 pitch shifting engine. 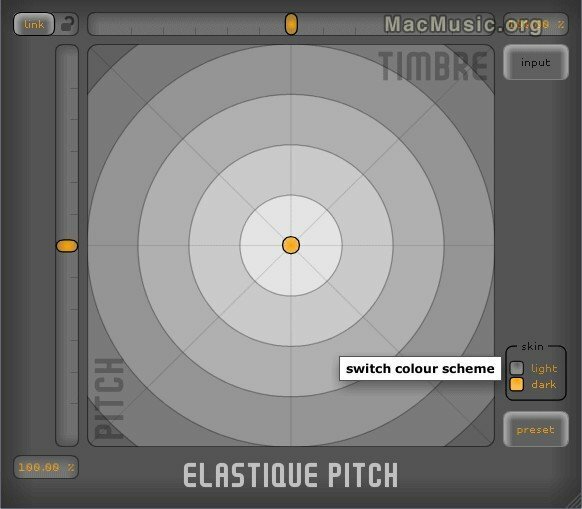 With a plug-in interface designed to allow quick and easy interaction with all parameters, Elastique Pitch is designed to be the optimal plug-in for pitch shifting in film and audio conversion applications, for sound design and for adjusting pitch in recording and rehearsal sessions. - Multi-channel : support for synchronous pitching of up to 8 audio channels. - Real time : no offline pre-analysis required. - Program independence : high pitch shifting quality for all types of audio (speech, monophonic, classical music, mixes, etc.). - Phase coherence : absolute phase stability between all channels. - Formant shifting : moving of formants independent from pitch. - Factory presets : typical film pull-up/pull-down settings. Elastique Pitch is available now for both Mac OS X and Windows in RTAS format, it has an MSRP of $499/€449.